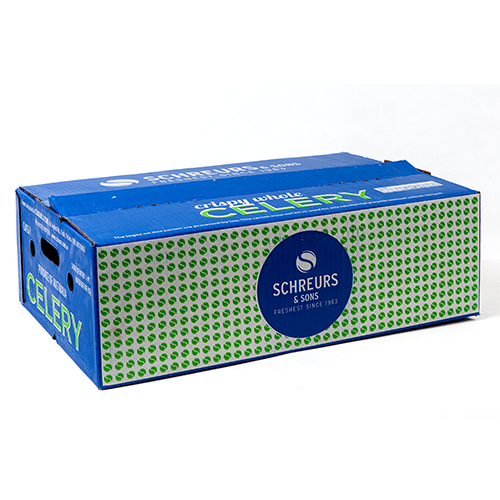 At Schreurs & Sons we pride ourselves on producing some of the highest quality celery, leeks and baby leaf in Australia. We are continually innovating our processes to meet the evolving needs of our customers, and can offer a wide range of packaging options to suit your requirements. We have been growing and breeding celery for over 50 years. Our celery is specially selected from seed, to produce a high quality product for our customers that is available year round. 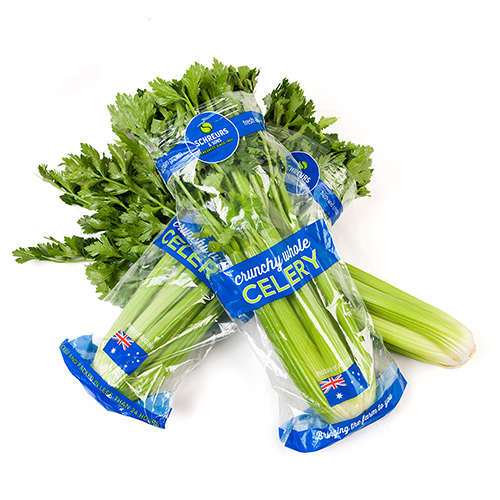 We sell loose celery, ‘Fresh Cuts Celery’ in sleeves and ‘Crunchy Cuts Celery’ in convenient prepacks to suit a range of requirements. 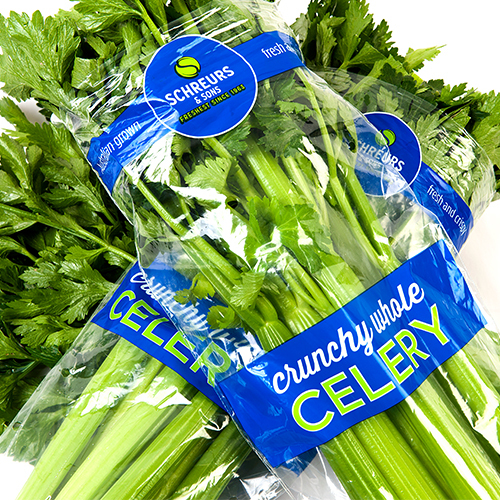 Our prepack celery is cut using an innovative water jet cutter, washed with electrolysed water, and heat-sealed into clear, branded bags. The electrolysed water treatment eliminates the need for chemicals to be added to the washing process and keeps our celery fresh and safe for our customers. 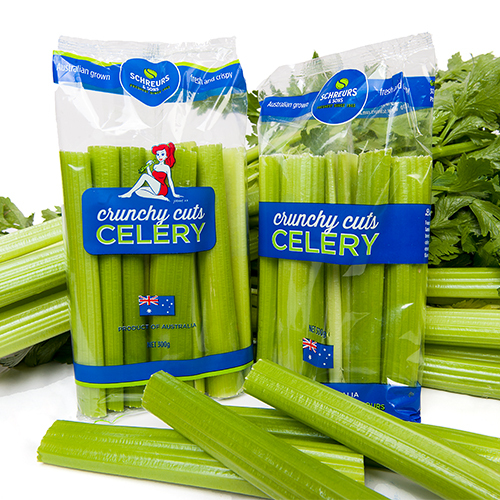 Our Crunchy Cuts celery is currently available in a 300 gram bag and 10 units are packed per carton. Our celery is available 12 months of the year. 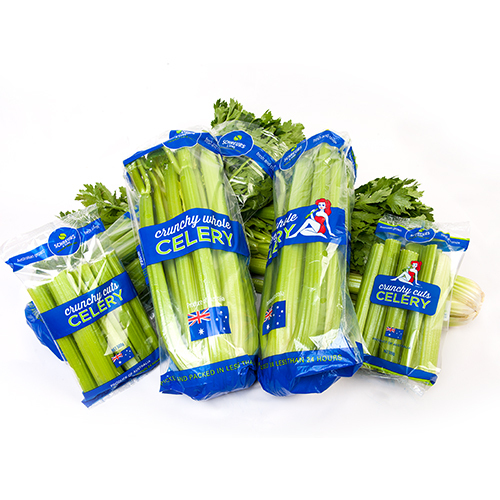 We distribute our celery nationally to local markets and supermarket chains, and our export markets include Singapore, Malaysia, Japan and the Middle East, with the opportunity for expansion. 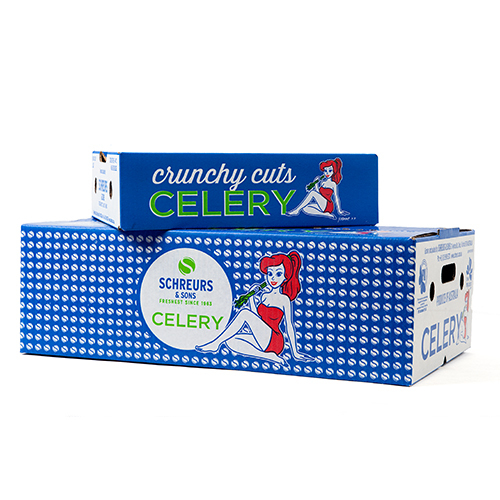 We supply celery under our Schreurs & Sons brands, both with and without our celery girl Joanne. We will also be launching our Tarwin Farms brand soon. Trim a small amout off the root end and stand the sticks in lukewarm water for half an hour. Look for crisp celery bunches, with firm stems and fresh-looking leaves. Trim your celery and refrigerate in an air-tight plastic container. 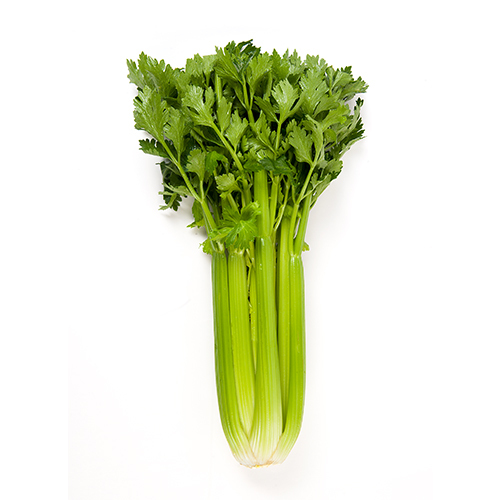 By removing the leaves, it helps to prolong the shelf life of celery.